32 Windows 8 Features That Don’t Get Enough Credit. Windows 8 has its problems. We all know there are new user-interface issues to sort out and for Microsoft and its wide-ranging collection of customers it must be one of the most difficult challenges of 2014. There are new features under the hood in Windows 8 too but despite the fact that they help to make it the best Windows operating system yet, no-one gives those features any consideration. Windows 8 is not a broken OS. Windows 8 is an HDR-Computing OS with some truly inspiring features, if you stop to take a look. We’ve seen Baytrail –T products in action. The tablet-focused processor, the Atom Z3000 range of parts, will enable products under the ‘small screen’ category; up to 11.6-inch Windows 8.1 or Android based tablets and 2-in-1’s. The most powerful SoC, the quad-core Z3770, will deliver short-term clock speeds up to 2.4GHz and support screen resolutions up to 2,560 x 1,600. The Z3470 variant run up to 1.8Ghz maximum clock. Both are quad-core. SDPs of 2-2.4W means you’ll find these products in the thinnest and lightest tablets possible. When it comes to larger devices though, 11.6” 2-in-1’s, netbook-style laptops and even some Ultrabook-styled devices, the Baytrail-M range comes into play. The Pentium and Celeron-branded processors will offer more advanced interfaces (SATA-II for example) and support for 8GB DDR3 RAM (Baytrail-T supports 4GB LPDDR3 RAM) and on-board Gigabit Ethernet controller. It will come in 32 and 64-bit variants (32-bit to start with.) HDMI 1.4a and DisplayPort 1.2 are supported. The processor range consist of four SKUs with the following specifications. That range of parts translates into the following market categories which include 2-in-1 Detachable designs, 2-in-1 Convertible designs and notebooks with touch. 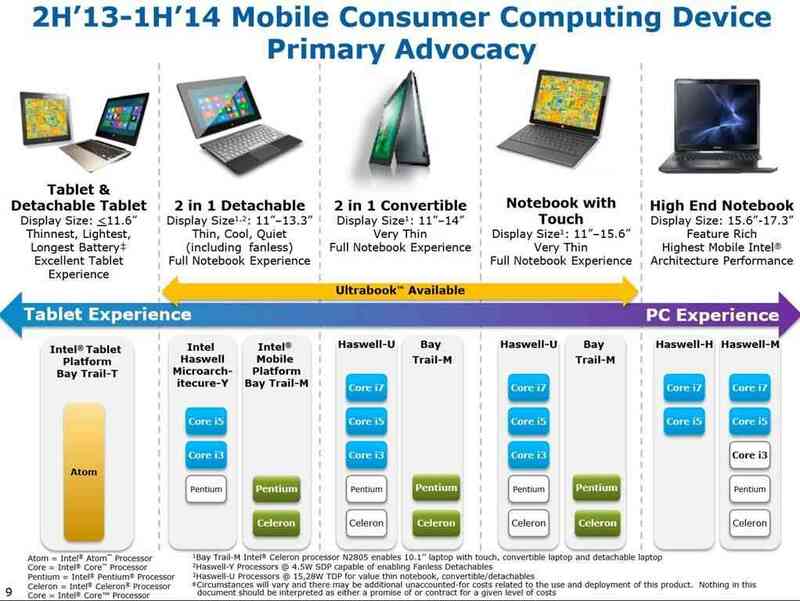 In each category Intel also has a Haswell-based offering at higher TDP and higher processing power. Higher costs are also associated with the Haswell-based parts. There’s a complete overlap between low-TDP Haswell processors and Baytrail-M. 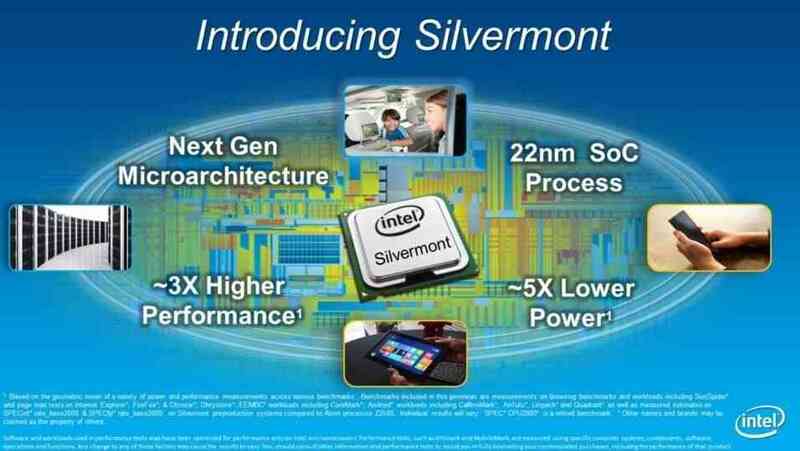 The slide was shown as part of a Baytrail-M presentation at IDF13 in San Francisco. Clearly with the lower cost and smaller TDP you’ll be looking at some interesting low-cost Ultrabook-style designs. Pricing could reach down to $399 for a 2-in-1 based on Baytrail-M. Here’s how Intel sees the bill-of-materials (BOM) for low-costs 2-in-1s. The slide outlines an interesting 2-in-1 PC that (if using an 11.6-inch screen) falls under the Microsoft Small Screen Touch program. SST provides a lower-cost Windows 8 license and includes Microsoft Office (Home and Student) license. Note that for the $399 target price you’re unlikely to get a large battery but Baytrail efficiencies should help to keep battery life in the ‘acceptable’ range. Smaller batteries do reduce weight though. If one considers the price premium charged for Clovertrail detachable in the earlier part of this year, even a $499 price point is going to be attractive. ASUS has already proved it can build a 10-inch detachable on Baytrail-M for $349 so $399 is highly realistic. Importantly, the tablet section of a Baytrail-M 2-in-1 is going to be far more consumer friendly (lighter!) than the Ultrabook equivalent. Given the price-point, the weight and the matching Windows 8 user interfaces there’s real potential for sales here as the 2-in-1s become one of the most dynamic PC hardware and software builds ever. An HDRPC. Looking at performance figures for Baytrail-T that were revealed last week we can expect good performance increases over the Atom Clovertrail generation but performance will not get near that of Ultrabooks based on Core i3, i5 and i7 CPUs where the GPU and CPU architecture is better and clock-rates are higher. At this stage the figures indicate a differential of 2X – 3X performance on an Ultrabook versus a Baytrail-M device. In real-world terms the Baytrail-M based products should feel acceptable for most people. 720p video editing should be quick but 1080p editing could be too slow for productive use. Graphics performance will be similar to what we saw on the first generation of Ultrabooks in 2011 which just about covers some non-intensive games. The best, fast SSD-based Baytrail-M designs should make comfortable desktops for the home user. The most confusing aspect of Baytrail-M designs will be that they will be slimmer, lighter and cheaper than low-cost 4th-Gen Core designs. Ultrabook branding will be important in order to differentiate the higher-power Core-based designs. Baytrail-T allows OEMs and OEDs to make incredibly thin and light tablets and 2-in-1’s. The ASUS T100 and Toshiba Encore are good examples. Baytrail-M adds higher clockrates, interfaces and memory support that allow a more productive device to be made. Although the focus could be to align with the Windows 8.1 Small Screen Touch program, there’s no reason that Android can’t be in the mix. Quick-switch BIOS’ exist for multi-OS systems too. Intel has just launched Silvermont, the new architecture core for Atom-based platforms. 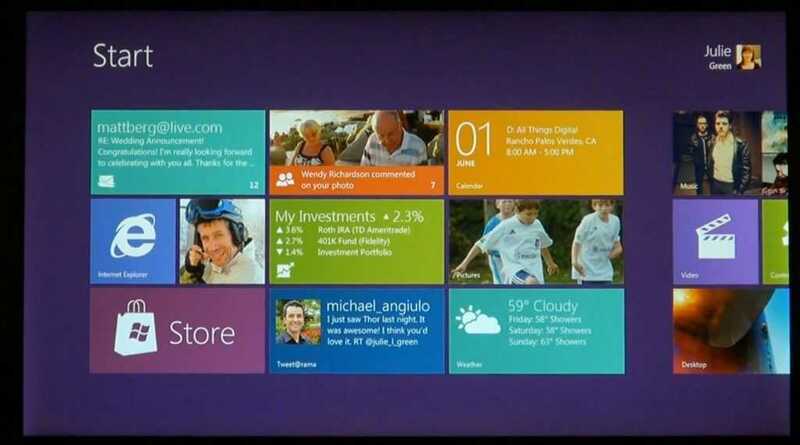 Silvermine will be used in the Bay Trail platform that will replace Clovertrail for Windows 8. Intel promises significant improvements in efficiency and products for the holiday season. Back at IDF September, Intel and Google finally announced that they’d be working together to get Android up and running on x86 devices. While there were a number of Android-running x86 tablets and a smartphone prototype or two floating around IDF, it wasn’t immediately apparent what the major advantage of Android 0n x86 devices would be for your everyday consumer. In fact, it wasn’t even apparent exactly why any of the existing Android manufactures would want to create x86 Android devices, given that up until now, pretty much all of their R&D has been focused on ARM devices. However, Intel may actually be perfectly positioned to be able to stimulate the growth of an upcoming segment of Android device — one which truly converges mobile and desktop functionality into one device. Chippy has coined such hybrid functionality: ‘High Dynamic Range Computing’ (HDRC), and the time might just be right for Intel to ignite this segment and find their own place in the Android market. Before moving on, you might want to visit this link to see Chippy’s look at HDRC from last year. Any consumer-available Android device that you can get your hands on today uses ARM architecture which is fundamentally incompatible with the x86 architecture that Intel products are based on. 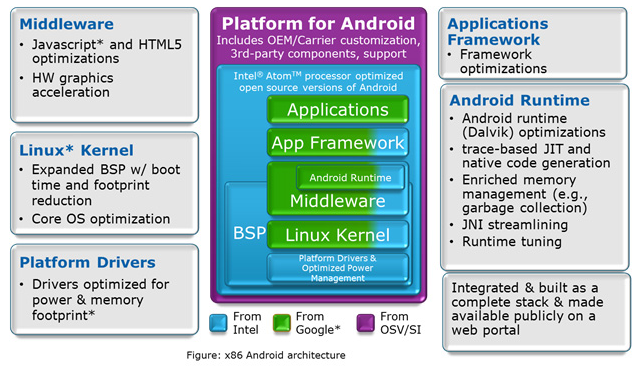 Android was originally built to run exclusively on ARM (though being open-source, some community projects were able to do some porting to x86). It wasn’t until several years after Android was on the scene that Intel and Google finally got together to work on full hardware-level Android on x86 support. That work is still ongoing. We’ve had our hands on Android devices running with Intel’s x86 architecture, but it is clear that there is still much optimization to be done. Once everything is complete though, won’t a device running Android on ARM be, for the user, indistinguishable from a device running Android on Intel’s x86? If ARM has battery life, Intel has power. It’s an interesting dichotomy — we’ve watched as ARM-based devices have continuously scaled up to meet performance demands as the Android device market has grown. Intel has the opposite problem; they’ve got power, but have been constantly trying to scale it down to work with mobile at the tablet/smartphone level. Intel’s Atom series is a notable effort in the last several years to scale things back far enough that users could get reasonable performance and reasonable battery life out of a netbook. Once Intel can achieve the same thing at the smartphone and tablet level (and they’ve been working on this for years), they’ve got the expertise to push the processing end of things far beyond what we currently see from ARM — not to mention that the same x86 architecture that will be found in Intel-based phones and tablets is capable of booting full-fledged desktop operating systems. If Intel plays their cards right, they could do very well in the Android market by stimulating the HDRC segment. HDRC isn’t really a mainstream thing at this point — most people have their desktop computer and they’ve got a smartphone and maybe a tablet. They view these two devices as fundamentally different. The promise of HDRC is creating a device that scales so well that it can converge these two categories of devices, which are viewed as different, into a single unit. This is a serious challenge because essentially it asks for a single device that is instant-on and has phone-like (all day) battery life, but, when plugged in, can be as powerful as one would expect from a laptop or desktop. Intel has the expertise for the high-end of the HDRC spectrum, we see this daily from the desktop computers that we work on. If they can combine this with phone/tablet-like low-power functionality, they could blow ARM out of the water and define the HDRC space that mobile technology has been steadily moving toward for the last 5 years. There’s lots to learn from the demonstrations and information on Windows 8 from the last few days. Not only from Microsoft themselves but through the reactions and thoughts of commentators. I’ve given it some time, made some notes and am ready to put my thoughts down.These are the thoughts of someone that’s used tablets in both the commercial and consumer world, someone that loves social networking but someone that also knows how important Windows is for getting things done. 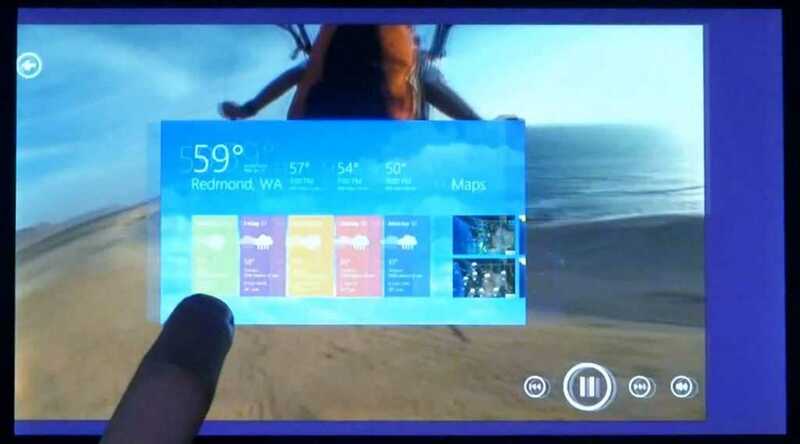 Windows 8 has an overlay layer that will introduce a finger-friendly homescreen. My first thought was ‘oh dear’ but there’s one major major difference between what Microsoft have done and what others have done in the past by offering an overlay layer. Applications. If you’re looking for a slim, touch-driven operating system Windows 8 is going to be frustrating on day 1 but on day 356, it’s going to be a different story. By the time Windows 8 is available, both ARM and Intel will have always-on mobile platform offerings. You’re likely to have always-on, sleep+poll and quick hibernate for month-long battery life. Finally the ‘lock-in’ features of phones and tablets will move to the laptop an maybe even the desktop. Fast-boot should also help mobile users. 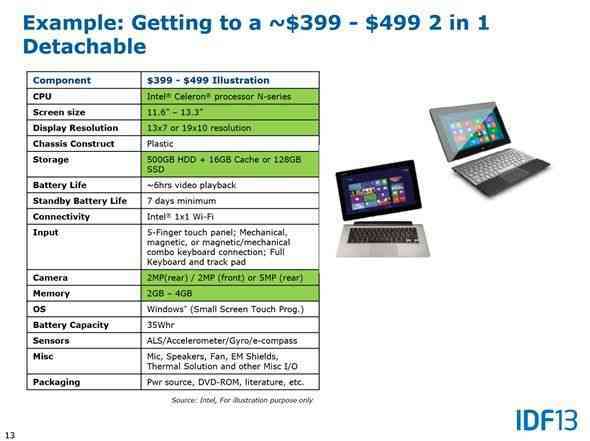 Windows 8 is likely to cost a considerable amount of money over, say, a Honeycomb tablet or smartbook. Not only because Microsoft will charge a license but however much they try and slim it down, 32GB of fast storage and 2GB RAM requirements are likely to push up the hardware costs. Considering the amount of multitasking that goes on in Windows, fast memory busses and higher CPU requirements are also to be expected for the same end-user responsiveness. Platforms that run Windows 8 will be more complex and more expensive than what we see in the ARM-based tablet world. The background processes in Windows aren’t there just for fun or because of sloppy programming. Windows is a complex operating system with an amazingly rich out-of-the-box feature set. Just think about simple things like multi-user support, file sharing, multiple input device support, the IP routing subsystem, multiple audio device support and the many layers of security that are included. Windows 8 will be a rich, professional-level operating system out of the box with a unique feature among tablets. As with previous Windows versions, you’ll be able to run multiple apps on the same window but Windows 8 has built in an easy way to slot in a ’tile’ application alongside a traditional Windows applications. Neat. Handwriting support. Critical in many vertical markets, education, health and other. Hover support. Hover is a core feature of the desktop internet and application experience. Windows needs to continue to support this through various input mechanisms. Apps and web pages are unlikely to migrate to ‘hover-free’ any time soon. App support for ARM-based devices. There’s no getting round the fact that applications will have to be recompiled for ARM-based devices. That effort translates into a barrier. Small-screen support. With a recommended screen size of 1366×768, will we see support for smaller resolution screens that are common in 7 and 10 inch form factors? What about the cruft? Will Windows 8 come in ‘mobile’ versions for mobile hardware? E.g. Will it run on systems without PCI, BIOS, USB for example. Again, we must not forget that Windows is primarily a table-top mouse-and-keyboard operating system and will remain so for a very long time. What Microsoft is doing it introducing a way for developers to enhance a touch-layer for a time when tablets could be critical to revenue. If the touch-layer develops well over time (say 5 years) it could become a standalone user layer but for the time being, what we’re seeing is a good start and way more than ‘overlays’ that we’ve seen in the past. With improvements in sensor support, always-on ( I truly believe that a Windows 8 ‘ultrabook’ could idle down to 7 days of Wi-Fi-on, screen-off battery life) and fast start, fuzzy (widened or ‘snap-to’ ) touch areas that are critical for hyperlinks, and an easy and quick app store, Windows 8 will address some of the core issues of Windows 7 when used in a mobile or tablet setting. Microsoft needs to take care of sharing subsystem and sensor support and exposure to the touch UI layer though to complete a nice recipe for a high-dynamic range operating system. Windows 8 was one of my 5 operating systems to watch for HDR-Computing, it looks like it could be the first to achieve it. 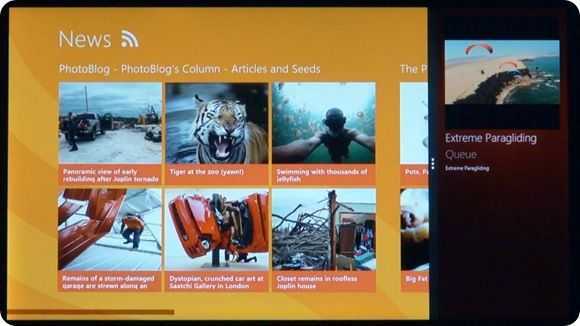 Microsoft Presspass article on the recent Windows 8 demonstrations and discussions. There are two very popular and very different Internet viewpoints out there. One shows social, app-centric, dynamic, location-aware mobile environments and the other looks out on high quality, feature rich work environments. [More on the two Internets and Web experiences here] Computing hardware platforms have crossed over from both sides but there’s still a problem getting apps across the bridge between the hand to the desktop. 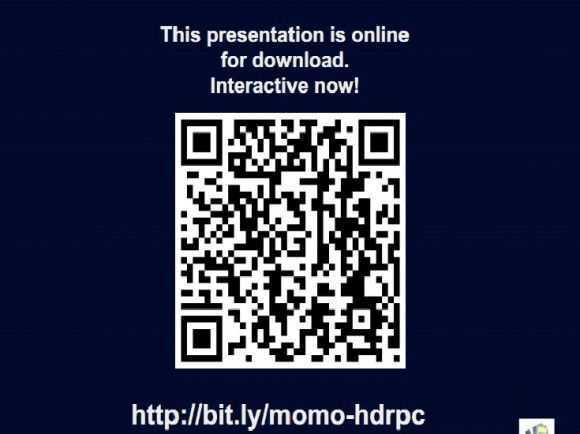 This article, adapted from a presentation given at Mobile Monday, briefly highlights how a new OS could be the bridge that enables high dynamic range computing, HDR Computing. The presentation is available online. You have one timeline of activities and at certain points, they mix and crossover. There’s little chance in the modern life to separate the two works of work and home and as a result, the need for applications, documents and content to be synchronized across different devices is greater than ever. The phone becomes the pivot point for the data but that data needs to extend across an increasing number of devices. Devices and applications tend to stitck to both work and play timelines making them inseparable. What you can do within 3.5″ 11 inch is limited in terms of screen and computing thermals, input mechanisms and battery life. Smaller devices are becoming more capable but physics gets in the way of complete convergence. This shouldn’t be a surprise to anyone. 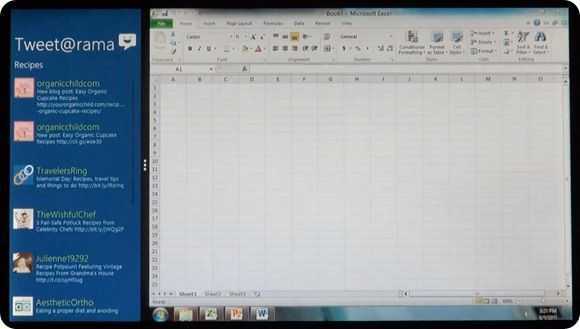 For example, to write this document, I had to sit down, use a 10 inch screen and a touch-typable keyboard. As I type this, my tablet is next to me. Why is my tablet next to me? Because it does some things better than my laptop and some things that my laptop just can’t even attempt to do. SMS, WordPress notifications, Gtalk, Twitter are all examples and they work better because of always-on, applications and hardware like sensors and camera. Plus, PCs tend to run wild and uncontrolled when there are multiple apps running. That reduces battery life for critical work-related processes. The continuity between my two devices is split. Each device has a limited dynamic range in terms of software and hardware capabilities. It would be nice to have a single device that offers the best of both worlds but based on physical issues mentioned above, it’s not possible but what if there was an operating system, a hardware platform and an applications library that could span different usage models? The useful range of any device would be extended into an HDR device. There are no options today. A PC can’t idle down to 200mw power drain and enable always-on capability. Most PCs and desktop software don’t support location. You can find PC apps but they are big and often do too much resulting in expensive software products. They often take 10 minutes or more to dowlnoad and install which limits the try-then-buy(and recommend) model. On the other hand, ARM CPUs that many tablets and nearly all phones are based on don’t have the CPU power to enable advanced processes. Video editing for example. Mobile operating systems also offer relatively shallow apps. Take a look at the office suites out there for mobile operating systems. 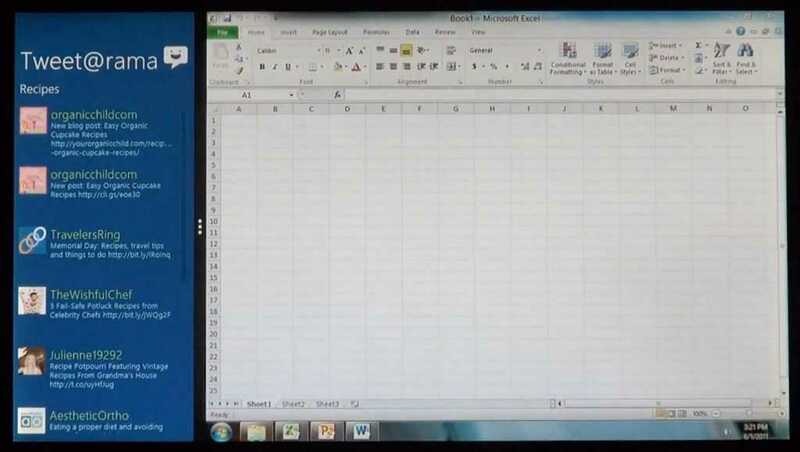 The free MS Office Starter solution on a PC is stunning by comparison. Multi-user logins, multiple on-screen apps, drag and drop, encryption, USB host, rollback, remote desktop, VPN support, networks drives and many other features are either poorly implemented or just don’t exist on mobile operting systems. While it’s not possible to get hardware that spans mobile and table-top computing scenarios today, it may be possible very soon. Here are some examples of what’s happening in the hardware market. The screen, storage, radio, battery, cooling, and production technology and processes are the same for both platforms. Mobile operating systems are pushing into desktop form factors. Both mobile and desktop operating systems today were written for one target segment and then, in order to explore new markets expanded from there. This strategy tends to result in compromises as desktop features are bolted on to mobile operating systems and mature desktop operating systems suffer from ‘bloat’ and legacy hardware support. An operating system built for HDR Computing has to be built from the ground up for its intended purpose. To span multiple hardware platforms, offering a ‘best of’ feature set that can enable both mobile and desktop operating modes through application cores that re-skin based on that operating mode, screen size and input method. Companies that sell products in laptop, desktop and mobile markets will NOT want to collapse their ecosystems into one. Separation helps multiple sales. There are clear opportunities. Some are very heavyweight. HDR Computing could enable a migration to cheaper, quicker product manufacturing, reduced support costs. HDR Computing enables something that Joshua Topolsky was talking about recently – Continuous Client. Not just for Mobiles and Desktops. There are multiple markets where HDR Computing could extend. Cars. When one platform / OS is approved, it can be used with multiple skins, features, options. Gaming devices. A huge market. HDR Computing is not easy and platforms, operating systems and applications will take years to mature. Major hurdles exist. Traction. It’s a huge leap that will require massive investment in marketing and market confidence. Applications – Who wants to write applications for a fledgling operating system? One-size doesn’t fit all? Often, single-use devices with dedicated operating systems and applications are better. There are some obvious players in the market that could take on HDR Computing. As mentioned above, HDR Computing is a Red Flag for companies that make profits in multiple mobile and desktop markets. Intel – Sell HDR silicon. Google – Successful in mobile devices only at present. Looking to expand. 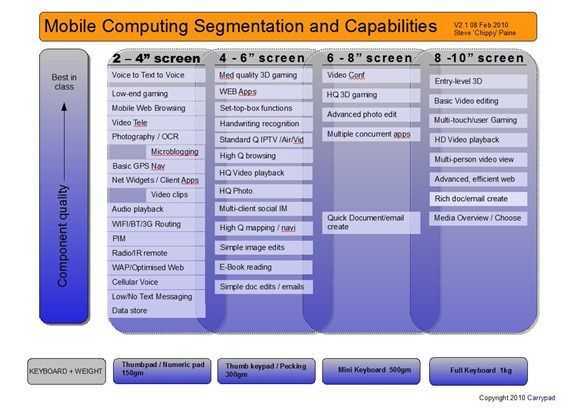 Nokia – Mobile only although their ‘distruptive computing’ group might find themselves with a lower budget / BG this year. A very, very big startup! Obviously companies with large cash reserves also have an opportunity. Samsung and Apple come to mind immediately but their opportunity to be distruptive is limited due to their existing revenue streams on multiple different operating systems. ARM is a company that sells licenses but could gain from creating a sister company (or partnering, being taken over or taking on another company) that creates products. To compete with their own licensees would be a complex and risky business strategy however. All of the above operating systems have an opportunity to become an HDR operating system. There is also work going on in other areas. ARM Cortex A15 quad-core hardware – Above netbook processing power, below netbook idle usage. Intel Atom – Moorestown, Medfield idle into ‘near zero’ remove PC history, power up to above netbook processing power. Turbo, thermal controls. Apps. Honeycomb signals start for serious Android app developement. IOS Serious app development ‘trust’ is already there. WebOS? QNX? Lets wait and see. It’s another opportunity. But is it too removed from hardware and multiple types of browser may stall the process. Energy and speed efficiency gets harder, the further it is removed from the hardware. The cloud isn’t mobile yet. HDR Computing is a major opportunity. It proves that the mobile and desktop markets for hardware, operating systems and applications are not as safe and stable as many might think and could be turned on their head. It could simplify the process for manufacturers, consumers and applications developers and enable the idea of ‘continuous client’ through easier state synchronization. It requires a new style of hybrid silicon platform that can idle at very low power levels but when required, can produce desktop-level processing levels. These new platforms will be very tightly coupled to an operating system and possibly developed in unison. There are opportunities for new players but the costs and timescales are prohibitive for all but the largest and best-positioned companies.